Does Shipping Cupcakes Stack Up? 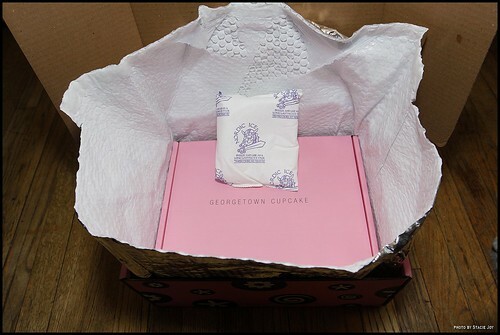 Plus, a Giveaway: Georgetown Cupcake Sends You a Dozen! 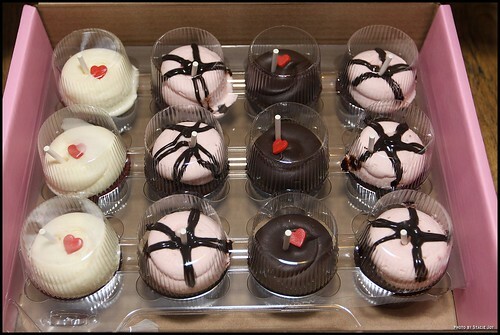 Thank you Georgetown Cupcake for the shipping and the cupcakes -- and the Valentine's Day giveaway. I'd always been suspicious about how well shipping cupcakes works, even though I'd had a reliable experience before. Inside that was a small gel-type pack of ice. And a card, although it had no information abut the cupcakes inside. No names, flavors, ingredients, nor the name of the collection, which was a Valentine's Day special. That was kind of a bummer, not sure why it was overlooked. A tiny bit of movement showed but for the most part the cupcakes arrived looking great! The red velvets were my favorite. Yummy and sweet cream cheese frosting with a dense moist (but not oily or greasy) cake. My cupcake-tasting partners (in crime) felt the cupcakes had a slightly alkaline aftertaste but I didn't notice. 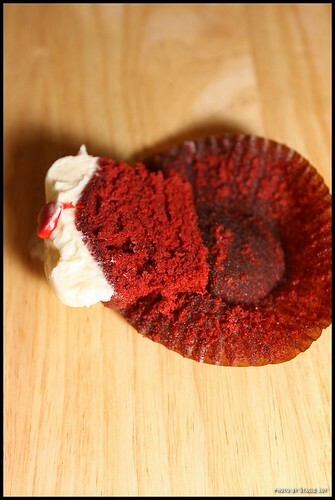 Warning: this cupcake is messy! Gooey and drippy and best eaten with a fork or spoon. Also, the frosting had a tendency to separate. Maybe due to the fact there was so much of it? The chocolate squared was so rich and dense and obviously made with quality ingredients. My friend took one bite and said, "Are these made with Valrhona?" Wow. Impressive. Yes, they are. We both agreed that the cake was just a vehicle for the frosting. So decadent. 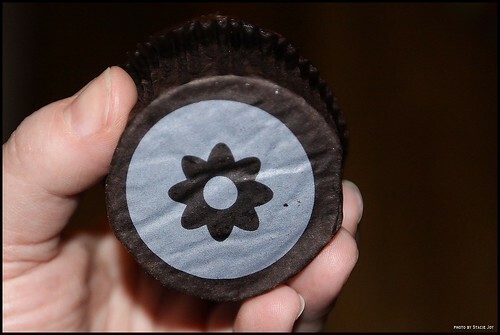 And really a grain-free taste, which I think is hard to achieve in a chocolate frosting. 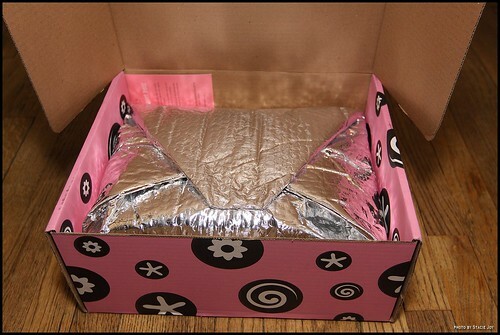 As an aside, Senator Harry Reid received a similar box and regifted the treats to the press! Nice move, Senator Reid. Media people love cupcakes. Georgetown Cupcake is home to TLC's show DC Cupcakes and they are expanding soon to NYC and Boston. Excellent shipping, quality ingredients, popular TV show, busy bakeries (4 by the end of the year) -- is there anything these women can't do?! 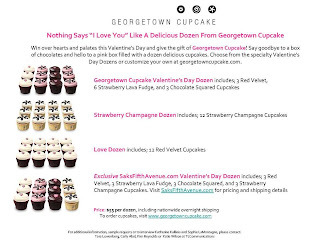 Anyway, Georgetown Cupcake and Cupcakes Take the Cake are giving away a dozen Valentine's Day cupcakes plus some cupcake merchandise, shipped directly to your home (USA lower 48 only due to shipping restrictions). To enter, leave an email address where CTTC can contact you below, in the comment section, on or before February 6, 2012 at 5:00 pm ET. We will choose one winner at random and contact you via email, the gifts will be shipped from the cupcakery. 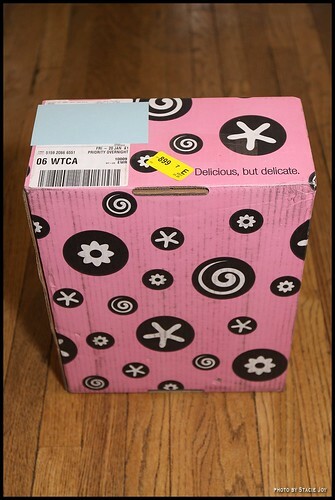 "Georgetown Cupcake ships all of its cupcakes overnight via FedEx. 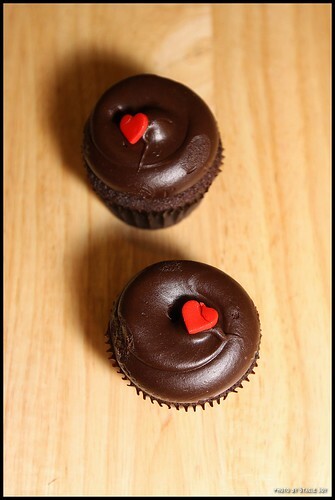 Due to the FedEx shipping schedule, Georgetown Cupcake cannot ship cupcakes for arrival on Sundays or Mondays. Unfortunately, we cannot ship to P.O. Boxes, APO, or FPO addresses. We do not require signature upon receipt of any shipping order. However, due to the perishable nature of our product, it is best for someone to be present to receive the delivery. Please be aware of any specific delivery policies at your shipping destination. Georgetown Cupcake cannot guarantee delivery if we are provided with an incorrect address, or for shipping delays resulting from inclement weather. 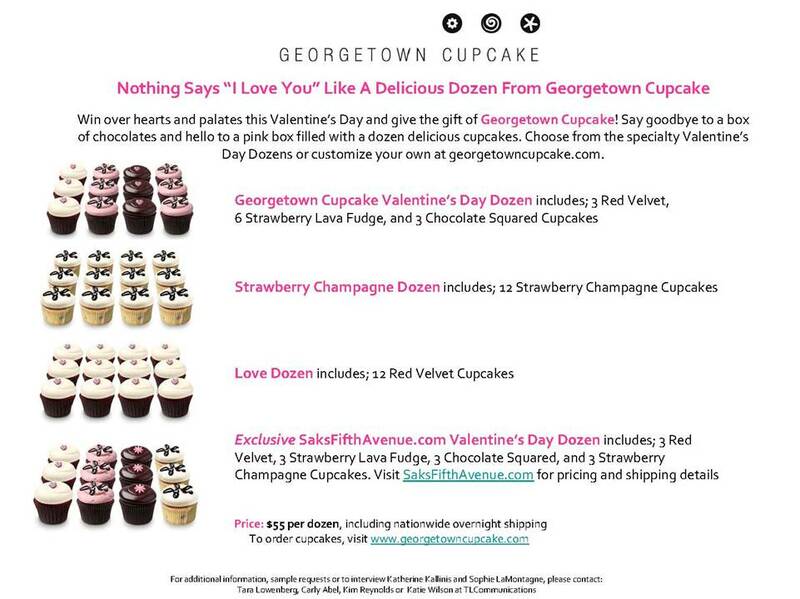 Georgetown Cupcake will provide you with a FedEx tracking number via email once your order has shipped." I have wanted to try their cupcakes for so long!!! I would love to win - they look yummy!! I've been looking for an awesome cupcake bakery that actually ships! Thank you for this article! I'd love to win so I can stand behind any that I choose to have shipped. I actually had some that we're shipped and they were delicious. However, yours look much better after shipping than the ones I saw! I am just drooling here as I read your posting. YUM YUM. Oh.My.Heck! That would be amazing. 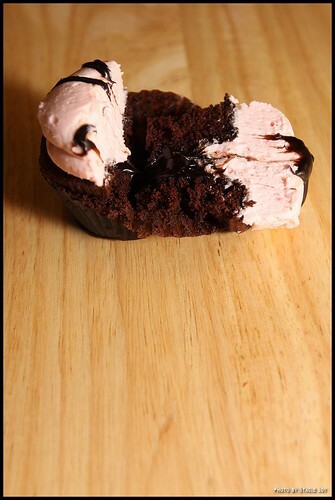 I have been in search for the perfect cupcake forevah! my email is cassiebox@gmail.com Thanks for the opportunity! The cupcakes look so yummy!!!! 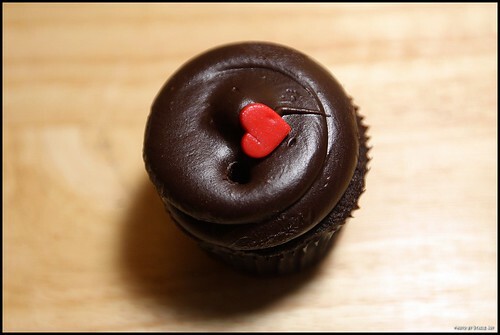 I love the DC Cupcakes show, and I would really love to have a taste of theIr cupcakes. Thanks for this chance! Thank you for doing a post like this. I have always wondered how therywere shipped and if they even arrived in tact or even any good! I may have to order some soon!! How I would love a dozen of these beauties! Oh boy, these look fabulous!! Awesome giveaway!!! Do they ship to Mexico because I would die for one of those!! Those look amazing. Would make a great valentines gift. Yum! I would love to try those cupcakes! Hi! I would LOVE a dozen of these sent to me! We had a half dozen driven here by a girlfriend who lives close by and was coming to visit, and they were delicious! So I would LOVE another dozen to share with family and friends again!! oh! ive always wanted to try these. anna(dot)hernandez(at)gmail(dot)com thanks! Oh yum! Those cupcakes look absolutely delicious. Shipping cupcakes is so complicated it seems but gosh, so worth it apparently! 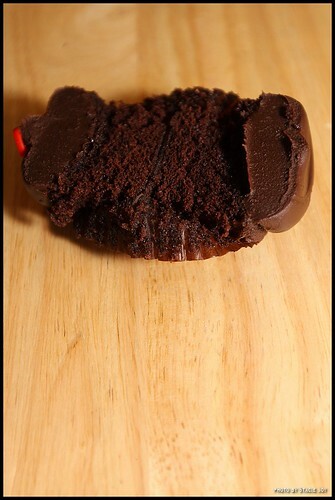 I have always wondered how cupcakes were shipped thanks for the awesome pics. I would love to try thier cupcakes! Thanks for sharing how they ship them, very interesting! Pick me.... I never win anything. Have been dreaming of trying these! Thanks for this great giveaway! I have always wanted to try Georgetown Cupcakes. My email is: 500daysofboy [at] gmail [dot] com. I'm gonna need plenty of milk! My email is irmacortes@yahoo.com for the giveaway. They are yummy. I've tried them several times and had them in my twins baby shower! What a wonderful giveaway! I'm a huge fan of the show. Would love it, if they started making vegan flavors, too, but my nonvegan friends and family would gladly sample them. I like to share. This is such a sweet (no pun intended) giveaway! I've always wanted to try the cupcakes at Georgetown Cupcakes and this is a great way to start! Thank you for sponsoring the giveaway! 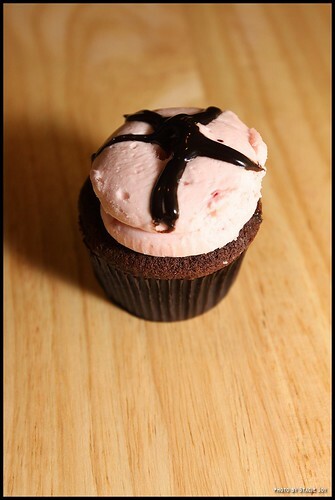 I would love to try Georgetown cupcakes. It would be a sweet Valentine's Day gift. YUM!!! I love the show and would love to taste their cupcakes!! Love the show!! garnettc@live.com Awesome giveaway!! YUM! 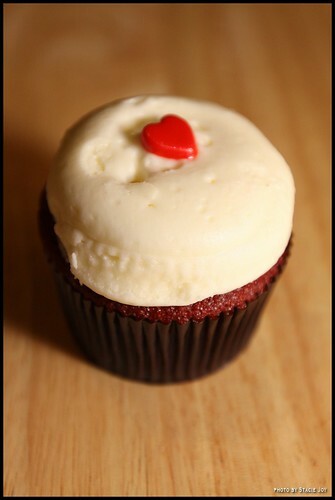 Would love some Georgetown Cupcakes right about now! I would looove to win these. cetati at gmail.com please. Thanks! kimberly (dot) a (dot) brody (at) gmail.com! Oh, would love some cupcakes, pick me! amanda@battycakes.com... They look so delicious!!! YUM.